OPEC appoints Nigerian Alternate Chairman Economic Commission Board – Royal Times of Nigeria. The Organisation of Petroleum Exporting Countries (OPEC) has announced the appointment of Mr Olusegun Adekunle as the Alternate Chairman of the Economic Commission Board. 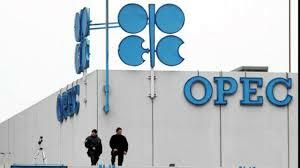 OPEC made the announcement in a statement issued today in Abuja by the Director Press, Ministry of Petroleum Resources, Mr Idang Alibi. Minister of state for Petroleum, Dr Ibe Kachikwu who congratulated Adekunle, expressed delight at the development and urged him to continue to work hard to justify the appointment and make Nigeria proud. Mr Olusegun Adekunle was before his appointment Nigeria’s representative to the organisation. The Commission is saddled with the responsibility of writing reports and making recommendations to the Conference of OPEC Oil Ministers on oil prices and other economic issues. It also assists OPEC in promoting stability in international oil prices at equitable levels.